On August 9, 2014 Michael Brown, an unarmed teenager, was gunned down by police officer Darren Wilson. This is an everyday occurrence in the streets of America. It’s a tragedy for the family of the victims; it’s business as usual for law enforcement officers, even at the precinct responsible for the tragedy. The question that’s never asked is, how do we stop police officers from killing unarmed civilians? In light of the shooting of Michael Brown, it is appropriate to revisit the criminal justice system in general and law enforcement in particular. Across the nation, law enforcement officers act more like criminals with a badge than public servants whose primary duties are to ensure the safety of citizens and preserve peace on the streets. It used to be a time when we attributed wrongdoings of police officers to a few bad apples. It seems that today wrongdoings in law enforcement across the nation are the norm. 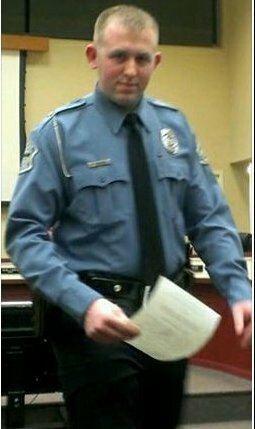 So, it was no surprise that despite the overwhelming evidence officer Darren Wilson’s action is unacceptable in a civilized society, those who are close to him evoke the argument that police officers have to make split-second decisions on the streets. It is however an argument that cannot apply in the shooting and killing of Michael Brown. As of this writing, we know Michael Brown was unarmed, moving away from the officer when he fired the first shot. When Michael turned around with his arms up according to eyewitnesses, the officer shot him several times, twice in the head. This is hardly a case of split-second decision. That tragedy presents another opportunity for the criminal justice system to revamp its policies and retrain law enforcement officers. Watch this column; analysis of the “shooting unarmed civilians” problem as well as solution to minimize its occurrence will be presented here in a future posting. If you wish to be notified for the related posting or any other posting, subscribe to this blog.